MAGMA DJ Controller Workstation NV Numark Controller Laptop Carry Flight Case . Condition is Used. Dispatched with eBay delivery – Shutl 1 day. This case has been used for 3 years and my Denon mixer fits perfect (mixer not included). Why people choose Bop DJ. BOP DJ Showrooms. Designed to Hold Keyboard/mixer - Max load capacity: 50 kg / 110 lbs. Adjustable mixer/keyboard stand. Why people choose us. All-foldable (W x H x D): 73 x 32 x 12 (cm)=28 3/4 x 12 5/8 x 4 3/4 (in.). Very very sturdy and just a couple of scratches. It all works and is in very good condition. Novopro CDJ WS1 Workstation. The WS1 is a fully adjustable combination stand for holding your CDJs, Mixer and a laptop. Designed to Hold CDJs, Mixer and a laptop. Why people choose Bop DJ. BOP DJ Showrooms. 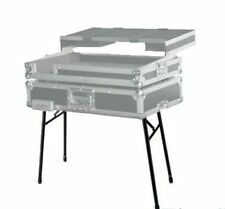 QuikLok DJ233 DJ Workstation is a Durable DJ Workstation that features a perfect blend of form, functionality and lightweight portability. SKU: DJ233. 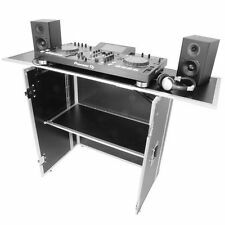 Great for holding DJ coffins, CD rack systems, CD/record cases and rack cases, the DJ/233 is also perfect for drum machines, small size live mixers and will hold the heaviest of keyboards safely and securely. 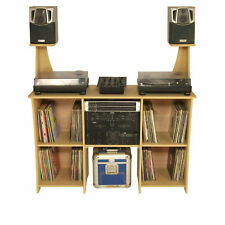 PERFECT FOR DJ'S LOOKING FOR THAT WOW FACTOR!!! 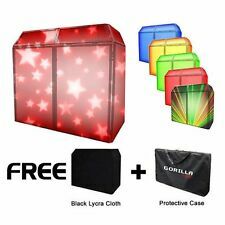 COMES WITH LIFETIME GORILLA CASES WARRANTY! PERFECT MOBILE DJ'S LOOKING FOR THAT WOW FACTOR!!! Set of four dj lighting screens. Size of each panel: 30 x 700 x 1200mm. 1 x Foldable DJ Screen. Set of four dj lighting screens. 1 x Carry Bag EQLED10A. 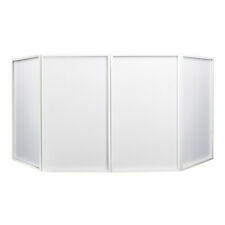 Size of each panel: 30 x 700 x 1200mm.